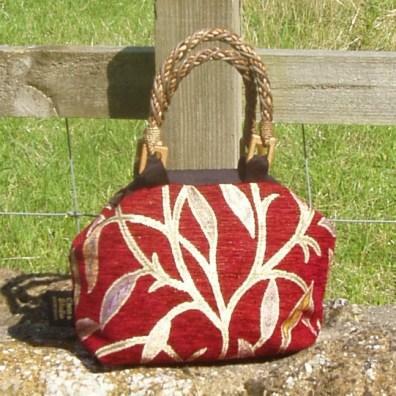 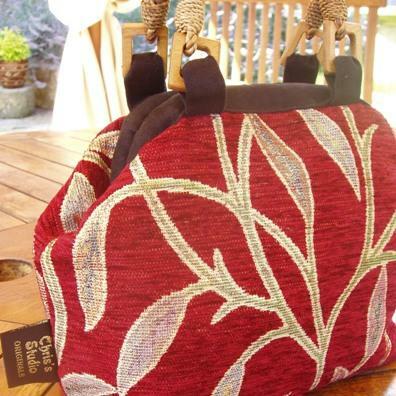 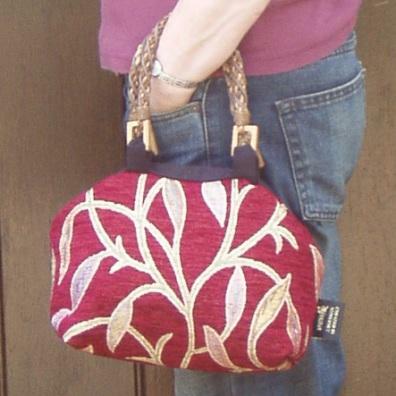 Style: A Julia handbag style carpet bag in a woven fabric in red with an embroidered floral leaf pattern in beige and various other pastel colours. 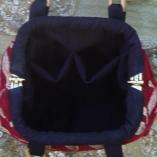 Fully lined with a faux suede in black with two internal pockets. 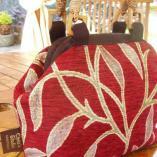 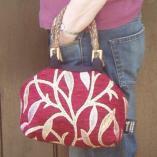 Brown wicker style handles and a Gladstone bag style closure (7'' frame).